Manufacturer & Wholesaler of LED Ceiling Light. 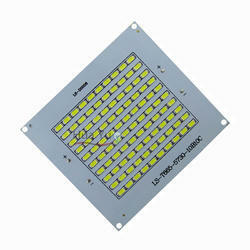 Our product range also comprises of LED Street Light, LED Flood Light and Garden LED Light. Floodlights are broad-beamed, high-intensity artificial lights. They are often used to illuminate outdoor playing fields while an outdoor sports event is being held during low-light conditions. More focused kinds are often used as a stage lighting instrument in live performances such as concerts and plays.